You probably already know that wind instruments can be grouped into two special families – brass and woodwind. The brass family includes non-reed horns such as the trumpet, tuba and trombone. The woodwind family includes non-reed pipes such as the flute, piccolo, recorder and types of whistle. It also includes reed instruments such as the clarinet, oboe, saxophone and bassoon, all of which have a single-reed, or sometimes double reeds, that vibrate to produce their unique sounds. The harmonica is also a reed instrument, but it is part of an important sub-group. This group has single reeds, pinned at one end, that move freely at the other, without a mouthpiece to vibrate against. The reeds behave just like mini diving boards. This is the family of free reed instruments. 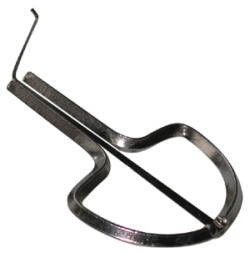 If we used a single, metallic, free reed to create an instrument, we’d end up with something similar to a Jaws or Jews harp. 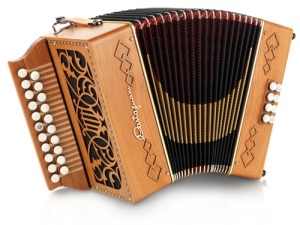 You’ve most likely heard its twangy sound in cowboy movies, comedy sketches and cartoons. It illustrates very clearly how free reeds can be plucked as well as blown to produce their sound. Either mechanism produces the friction required for a free reed to vibrate. The vibration sends pulses through the air that form the sound waves we can hear. Shorter reeds vibrate more quickly, producing high frequency sound waves, while longer reeds vibrate more slowly and produce low frequency sound waves. The jaws harp is quite easily played by plucking the reed, while it is held between the teeth or lips. This allows the sound waves to resonate naturally in the mouth cavity, head and vocal tract behind the reed. If we breathe in and out as we pluck the reed, the amount of friction working on it is increased, and so the sound is amplified. It actually sounds louder. An experienced jaws harp player using this method can also articulate and mimic monotone, robotic speech. There are many forms of jaws harp from South-East Asia. In the Philippines for example, bamboo is used to create the Kubing. In Vietnam the Dan Moi is made of metal. If you’ve ever purchased a Ruler on the edge of a desk and plucked it’s free end, you’ll know that it makes a special sound. As school children we are quick to experiment with this in the classroom. But what we are inadvertently interacting with, is the physics of a free reed. The ruler is behaving in exactly the same way as a jaws harp. We can hear it vibrating very clearly, and if we pin it to a larger surface, such as a table, then pluck it, the sound waves resonate through the table or surface material and are amplified. And here’s another dynamic to consider. 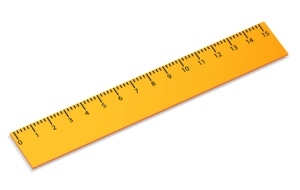 The shorter the ruler, not only the higher the pitch, but the harder it is to physically pluck. Conversely, the longer the ruler, the easier it is to pluck and the lower its pitch will be. Longer rulers are naturally more flexible and more responsive. Who remembers flexing meter rules at school in mock alien swordplay? Whether blown or plucked, reed lengths behave the same way when it comes to pitch and response. The shortest reeds in a harmonica are the hardest to shift and produce the loudest volume when blown under pressure. Too much pressure on a longer, lower, reed however, will cause it to bend, rattle or choke – gently does it! If we assembled a family of plucking reeds and made a musical instrument with them, we may well produce something like a Kalimba, or Thumb Piano. This is a popular instrument from the African continent, where it has many indigenous names including the Mbira. On some models the wooden body includes a resonator (sound box) to help project the voice of it’s free reeds. The kalimba is part of the lamellophone or linguaphone sub-family of instruments. This means that their free reeds resemble plates or tongues. In the German language, reeds are sometimes referred to as Zungen, which also means tongues. If you think about it, our own tongues are connected at one end and move freely at the other. And we can use them like reeds when we whistle in certain ways. If we took a family, or comb, of reeds and instead of blowing them, we devised an automated mechanism to pluck them, we’d end up with something very similar to a Musical Box. Here the crank handle turns a central barrel which has small spikes embedded around it. The spikes pluck the reeds on the comb in turn, and a tune is produced. Can you tell which tune this one is playing? 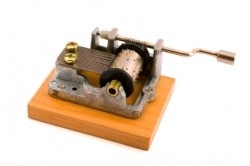 If we added a motor, or wind-up mechanism, we’d have an automated, or clockwork, musical box. Bagpipes have been with us since biblical times. Although they’re closely associated with Scotland, their origins can actually be traced back across Europe and North Africa, into the Middle East. 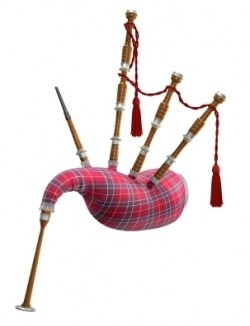 A bagpipe is an example of an instrument that makes its sound when a free reed is blown, rather than plucked. Bagpipes come with one, or more often two, reeds that sit at the top of the chanter. That’s the pipe at the bottom with finger holes used to play music. It’s tuned like a recorder. The great grandfather of the harmonica is the Sheng from China. Ancient pictures and relics of shengs from hundreds of years BC can be found throughout China as well as on more modern Bhuddist deities. A sheng is a collection of reed pipes, each with a single finger hole at the base, connected to a gourd, with a large central mouthpiece. Like the harmonica, the sheng is played by breathing in and out to produce a sound. 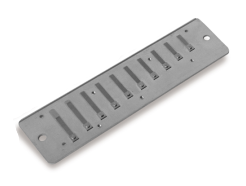 By covering the small finger holes, each pipe can be sounded individually or in concert. Some believe the sheng was brought to Europe in the 1700’s, where its technology was adapted to create reed and mouth organs. The sheng can still be heard in China. Similar instruments are played in other parts of South-East Asia such as Thailand, where they’re called a Naw, or Laos where they’re called a Khene. If we decided to take things easy, and invented a simple machine to breathe air across sets of free reeds for us, we’d almost certainly end up with a bellows; or else a reservoir like the bagpipes. In the 19th century, many small churches and chapels installed organs equipped with reeds as a cheaper, and more portable alternative to the grander pipe organs. 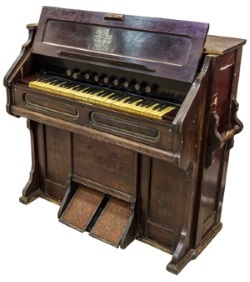 This new invention, the Harmonium, required somebody to pump its bellows by hand or foot while it was being played. A harmonium is essentially a reed organ, as opposed to a mouth organ or squeeze-box, and all were developed at about the same time. All were highly portable and could be played not only in churches, but in public and at home. We probably don’t realise that the harmonium has been used very effectively in modern pop music, perhaps most famously by The Beatles (We Can Work It Out) and is still a very important part of traditional Indian music. A squeeze-box is a hand-held reed organ. It has two sets of free reeds connected to a central, folded bellows. By pushing or pulling the bellows and opening reed chambers with finger buttons or keys, we can make great music. There is a whole slice of music, particularly Reggae, which features the Melodica. 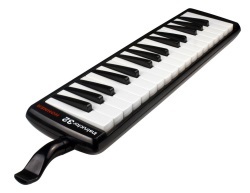 The melodica is a hand-held keyboard wind instrument that was used to teach music in Jamaican schools. Again it’s a reed organ, but this time we’re back to powering it with our lungs. The player blows into the mouthpiece (or a connected tube), and activates the keyboard by hand. Inside, the melodica has a row of reeds just like a harmonica. And here’s the surprise guest! The rubber squeeze-pump does the job of a bellows or human lungs. The metal trumpet projects the sound. Between the two sits a small sound unit – the equivalent of a harmonica chamber containing a single free reed. It’s crude but highly effective. The reed makes a sound when the pump is squeezed, and again when the pump is released. The pump blows and draws air across the reed, just like a harmonica. It provides a very practical safety role for the humble free reed when it comes to cycling, or riding a scooter. It’s also very comical in the hands of a clown.